Oncology makes for a field that is consistently evolving owing to great amount of research and development activities are currently underway to formulate therapies and drugs to treat tumors that cause cancer as well as emerge as a result of chemotherapies. Now, dieticians are emerging as a segment of caregivers who can suggest proper nutrition to the patients in order reduce their pain and side effects. Dieticians have proven their worth in identifying those who are at higher risks of malnutrition, which in turn can lead to weight loss, taste changes, and reduced appetite and other complications. 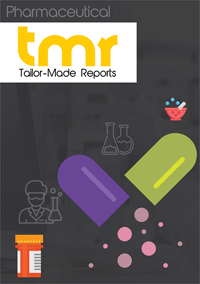 As per the findings of this business intelligence publication, the global oncology nutrition market is poised for a fruitful future with the demand expanding at a profitable compound annual growth rate (CAGR) during the forecast period of 2017 to 2025. With nutritional supplements, patients have been seen to be responding better to the medical treatments by managing their fluid, calories, and protein intake. Generally, loss of appetite has been observed among the patients and with proper nutrition, meal plans can be restructured according to calorie density and tolerability of individual patients. The market is also gaining traction from the mushrooming of private and public organizations that are dedicated to increasing awareness levels. The Academy of Nutrition and Dietetics has been promoting the quality of oncology nutrition practice in cancer treatment for nearly three decades and highlights the accomplishments made so far. The group has been aspiring to empower members with knowledge straight from market leaders and experts via research, education, and advocacy. Social media is also having a radical change on the oncology nutrition market, incrementing awareness levels but at the same time, spreading information that is inaccurate. Rather than depending on the Internet, the oncology patients are strongly suggested to consult designated and experience dieticians for their nutritional supplements. Cancer diagnosis creates myriad questions about diet and nutrition. Those pertain to if the food will make a patient feel sick to what should be ingested to fight cancer. This has spawned the oncology nutrition market which has been rising steadily due to the increasing cases of different types of cancer worldwide. During cancer treatment one needs to eat right in order to build up strength and withstand the debilitating effects of the cancer and its treatment. One is often recommended high-fat, high-calorie foods to prevent weight from falling, or thick, cool foods like milk shakes or ice cream because sores in the throat or mouth making it hard to eat anything. Numerous factors are catalyzing growth in the global market for oncology nutrition. Foremost among those are switch to enteral nutrition from parenteral. Other factors are surging demand for nutritional feeding in the homecare segment, increasing number of patients being treated for malnutrition arising from cancer, and cutting-edge clinical research on nutritional interventions. Further, continued development of elemental formulas and product, particularly with respect to non-GMO based formulas is also stoking demand in the market for oncology nutrition. Posing a challenge to the market, on the other hand, are complications pertaining with tube feeding and few reimbursements policies. However, the spike in the number of cancer patients worldwide on account of changing lifestyles, dietary habits, and other things is expected to keep the market on a steady growth trajectory. At present, the neck and head cancers are serving to drive significant demand in the global market for oncology nutrition. This is mainly on account of the tube feeding formulas for those afflicted with neck and head cancers. Such patients typically suffer from extreme conditions such as xerostomia, mucositis, dysgeusia, and nausea and vomiting which crimps nutritional uptake. Some of the other types of cancers that are driving demand for products are stomach and gastrointestinal cancers, liver cancer, pancreatic cancer, breast cancer, esophageal cancer, lung cancer, and blood cancer, among others. From a geographical standpoint, North America and Europe at present account for considerable share in the market for oncology nutrition. This is mainly because of the rising prevalence of chronic diseases and disorders and a large pool of elderly who are highly prone to chronic and acute ailments. Another factor stoking the market in the region are presence of numerous state-of-the-art long-term care facilities, namely nursing homes, homecare and hospices, and assisted living facilities. Those have emerged as great alternatives to hospitals. In addition, cost-cutting pressures in hospitals has resulted in preference for treatment at home. This is predicted to further push up demand for such feeding formulas. Some of the prominent participants in the global market for oncology nutrition are Abbott Laboratories, Danone, Nestle S.A., Fresenius Kabi AG, and B, Braun Melsungen AG. Most of them are deep-pocketed companies that have progressed on the back of continued product innovation and sagacious marketing strategies. The report studies their sales and revenues and prospects going forward. By leveraging market-leading analytical tools, it also tries to gauge the threats and opportunities awaiting them.